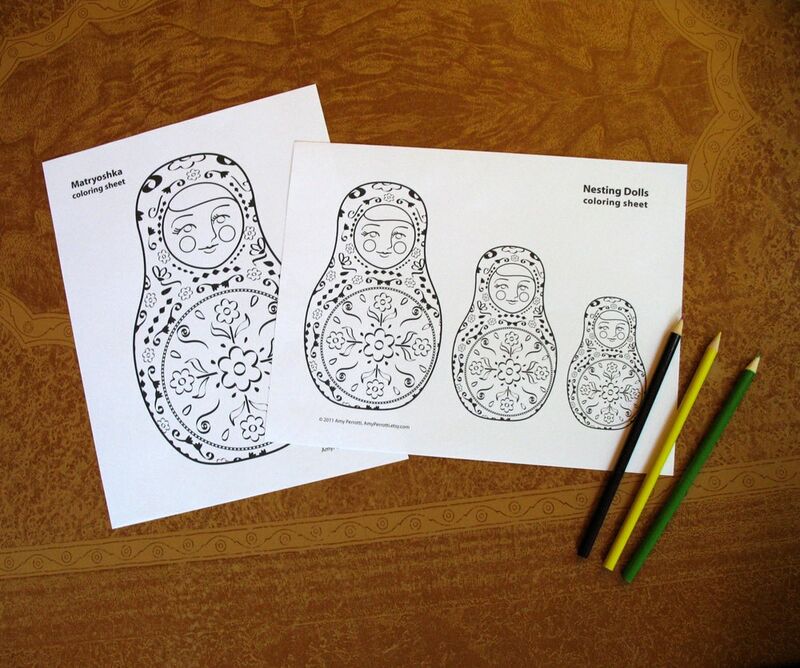 These two Matryoshka Russian Nesting Doll coloring sheets are 8.5" x 11" black and white versions of my Classic Russian Doll (Babushka, Matryoshka, Nesting Doll) illustrations. Just purchase for immediate download, open and print out these fun and convenient coloring sheets. Print as many, and as often as you want. These sweet coloring sheets are a fun activity for parties, special occasions or anytime. Can't wait to give these as gifts.